Want this item? Be notified when it's back in stock. Race them all and win with this willing track vehicle. 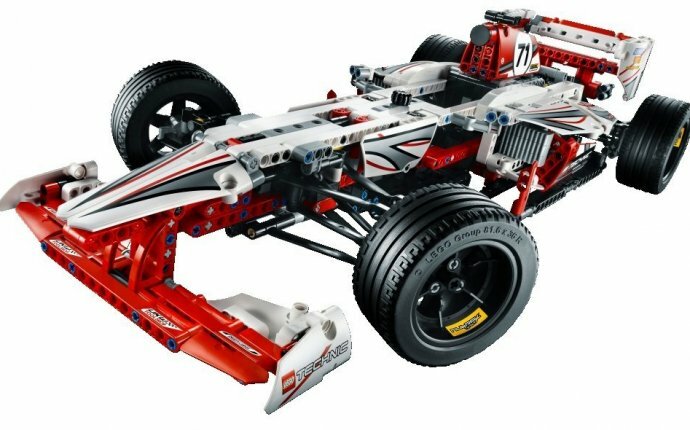 A LEGO Technic offering, this set delivers a lot of value with its wide rubber tires, working steering, and sturdy parts. 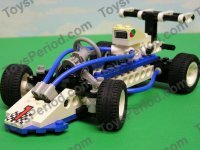 This collectible retired LEGO set from 1997 is in very good condition with all 97 pieces present, carefully checked from an accurate parts list. Stickers are included and applied as shown. The included original building instructions are in excellent condition. The pictures shown are of the actual set. 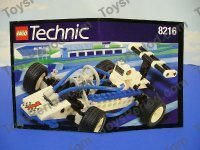 ToysPeriod is the leader in providing pre-owned LEGO sets to our customers in outstanding condition. Every pre-owned collectible we sell passes through our expert quality assurance program, which ensures that items arrive to you 100% complete with all pieces, clean, unassembled, and ready to enjoy. Our goal is to provide an experience as close to a new product as possible, while offering unique, classic items not found in stores. Note that original product boxes are not included with pre-owned items unless otherwise stated. All components are instead carefully sorted and bagged, bundled and sent in a sturdy shipping box to ensure safe arrival to your door. @Will Harrison: Also, the All-Star Race Jurassic Park cars that Jeff Gordon raced at Charlotte. I love those cars so much.